Kristi chats with author Erin Lindsey (interview begins about 41:15) about her recent article on TOR.com titled WHEN MARY SUE FAILED THE BECHDEL TEST and novel from her BLOOD BOUND series. Before the interview, Brent and Kristi talk about their favorite genre-type things from 2015 and what they’re looking forward to in 2016. On this episode of AISFP, Kristi chats with author Erin Lindsey about her recent article on TOR.com titled WHEN MARY SUE FAILED THE BECHDEL TEST and whether opening the doors in the name of having more inclusive female protagonists in SFF has inadvertently led to us swapping one unachievable stereotype for another. 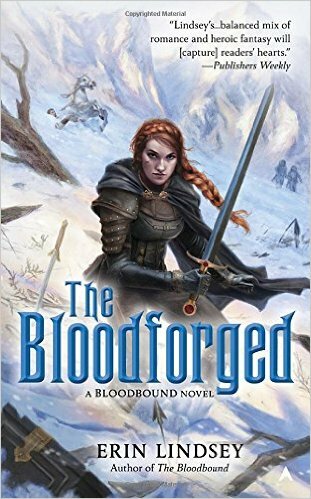 Erin Lindsey is the author of THE BLOOD BOUND SERIES, a fantasy epic that follows Alix Black – a warrior bent on saving her kingdom at almost all costs. Erin also writes THE NICHOLAS LENOIR series under EL Tettensor. Erin can be found at Twitter and on Facebook.